Lake Bluff Garage Door Repair & Installation | Overhead Garage Door Inc.
Picturesque neighborhoods, friendly people, and a safe and neighborly atmosphere combine to make Lake Bluff a wonderful place to live. The residents of Lake Bluff take pride in caring for their properties and their community. 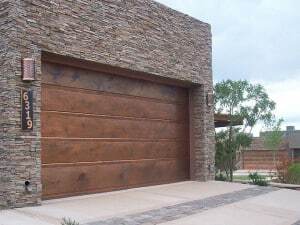 A garage door that has stopped working or has sustained damage can ruin the aesthetic of your home or business, and it reflects poorly on the neighborhood. If you need garage repairs in Lake Bluff, don’t wait to call the dedicated experts at Overhead Garage Doors Inc. Overhead Garage Door Inc. is a leader in the industry. As a certified dealer of Clopay Garage Doors, we can provide home and business owners in Lake Bluff with top-of-the-line residential and commercial products, excellent value, and the best service around. Exceeding your expectations is our ongoing mission each and every day, and with Clopay, we can provide an exceptional selection of styles so that your garage door is not only easy to operate, but also fully customized to your taste. Our professional, highly trained technicians are ready and able to install any new opener or door from our wide array of products. They can also provide much-needed repairs quickly and at a price you can afford. As knowledgeable as they are courteous, our technicians have your total satisfaction as their number-one priority. Has your garage door been damaged by extreme weather conditions or an unfortunate accident? Overhead Garage Door Inc. can make it as good as new. We’ll come straight to your Lake Bluff property, assess the situation in its entirety, go over all the potential solutions with you, and give a comprehensive estimate before starting repairs. Need service in a hurry? Our emergency staff is on call around the clock. Product Lines: We invite everyone who owns a home or business in Lake Bluff to take a look at our complete product line as listed below. Let us help you with all your garage door improvement needs—it’s our goal to make you proud of the results. I had this really old door on my carriage house that weighed a ton, and the first company I called told me it would require a commercial grade opener and the price would be triple for the mechanism, and worse he wouldn’t guarantee that it wouldn’t burn out given the size of door. Immediately I got a second opinion from a guy I found on line, and the folks at Overhead (Paul) came out that same afternoon. I now have a brand new, upgraded to insulated but drastically lighter door, the best opener with battery backup, and a guarantee to rival many car dealerships. Great job folks, thx.